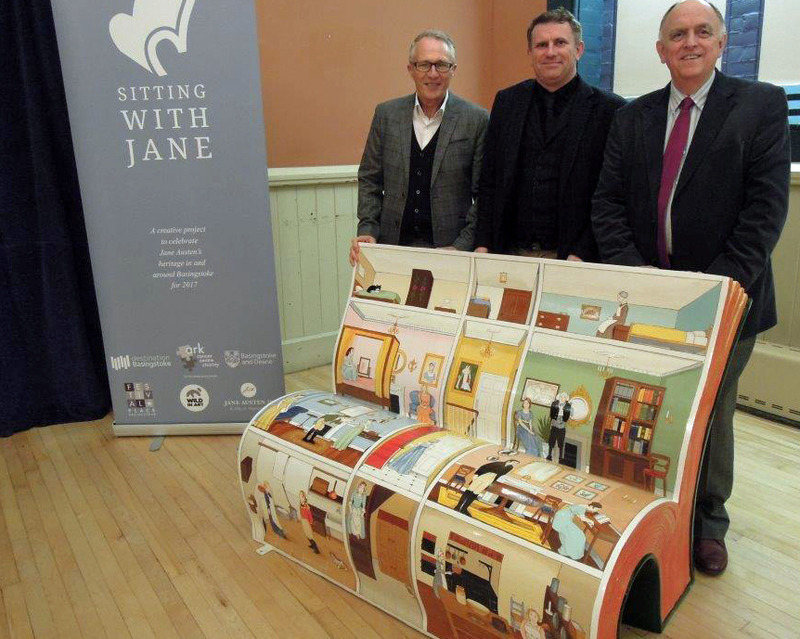 As part of the year-long Jane Austen 200 event, some of the sponsors of Chawton’s ‘Sitting with Jane’ bench popped into Alton Assembly Rooms recently to try out the prototype for size. The BookBench is an example of how the 25 benches on the ‘Sitting with Jane’ trail will look. The Chawton bench, along with a similar seat in Alton, will be part of an inspirational Jane Austen-themed art trail covering the north of Hampshire, designed to commemorate the 200th anniversary of the death of the author and to attract tourists to the area where she lived. The Alton bench which will be designed and hand painted by a group of students from Treloar College. Made of laminated resin and fibreglass, the cost (£5,000) will include a gratuity for the artists and installation, and the benches will be on show for 10 weeks from mid-June to the end of August this year, during which time there will be free public access, accompanied by a free-to-download app and a trail guide. Run in partnership with Destination Basingstoke, a not-for-profit organisation working to promote the town and its surrounding area, the ‘Wild in Art’ BookBench trail will link locations key to the life of Jane Austen, including Steventon, near Basingstoke, where she was born in December 1775 and lived for the early part of her life, the village of Chawton, near Alton, where she lived from 1808 and wrote and published her most significant work, and Winchester, where she died in 1817. While Jane is buried at Winchester Cathedral, her mother and sisters are buried in the churchyard at St Nicholas Church, and Jane Austen’s House in Chawton has become a museum, attracting many thousands of visitors per year. 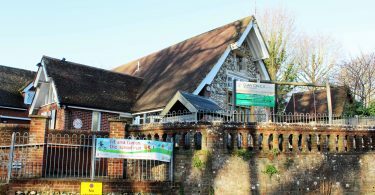 The family used to shop in Alton, and Jane’s brother, Henry, had the Austen Bank on Crown Hill, while brother Edward married into the Knight family and took on ownership of Chawton House, now a library dedicated to the study of early women’s writing. The Alton bench is being sponsored by Alton Town Council, Glanfield Holmlund, Wettone Matthews accountants, NHS Retirement Group: Alton, Hampshire county councillor Andrew Joy, LFM accountants, Tony Costigan (EHDC), The Alton Society, Homes Estate Agents, Bookers & Bolton solicitors, Tindle Newspapers, Alton College, BCoT, Turbex Ltd, and ChoLily café. The Chawton bench is being sponsored by Tony Costigan and Dean Phillips (EHDC) and county councillor Andrew Joy (HCC).